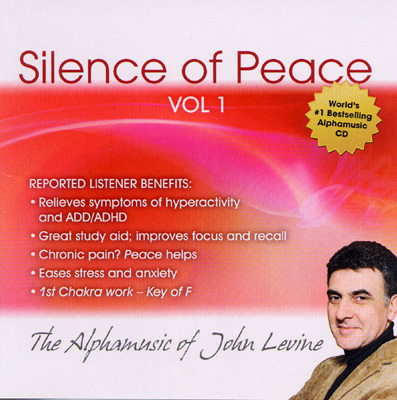 "Silence of Peace" comprises relaxing piano music by John Levine. This is the CD that made 3 canaries fall asleep in day light! Use this music and quickly enter a more relaxed and peaceful state of mind. Composer and pianist, John Levine, based this work on the centuries-old use of pentatonic and lydian scales. Musical tension builds up slowly and nobly with no rush or rough discords. The "spherical" sounds will bring you to alpha state within 4 minutes. Checkout our Relaxation/Healing section for more titles by John Levine.